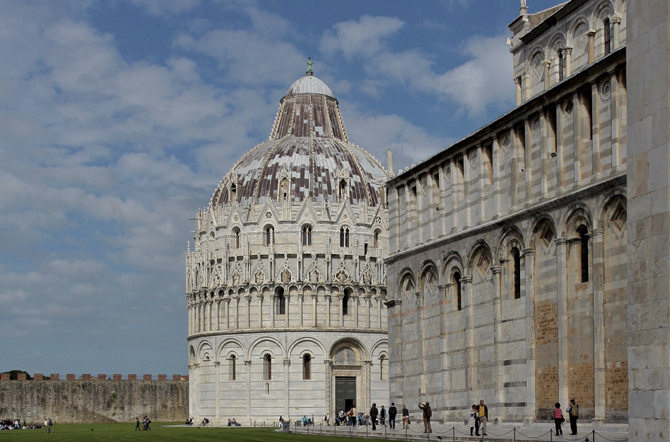 The Baptistery of St. John was built entirely of precious marble. The resulting building is a significant example of the synthesis between the Romanesque and Gothic architectural styles. The two lower levels were begun in 1152 and have blind Roman arches between the columns. 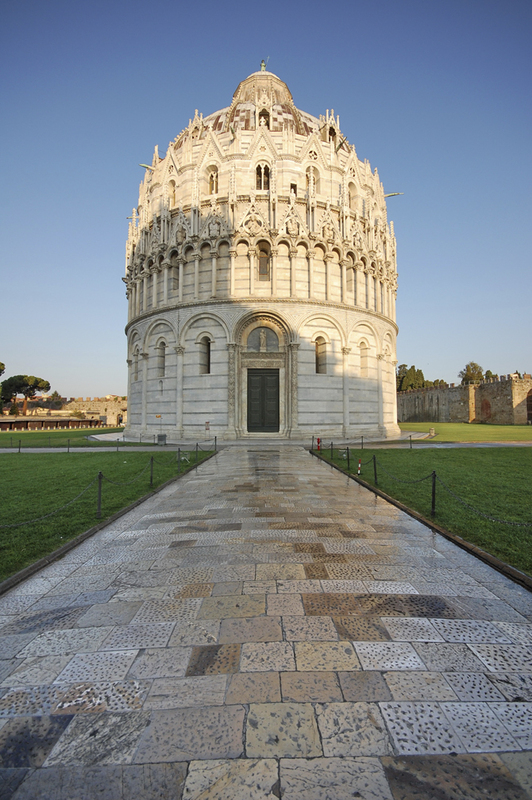 This baptistery is the largest in Italy. It is 55 m high with a diameter of more than 107 metres. The rotonda shape used by the architect Diotisalvi was inspired by the Sepulchre in the Church of the Holy Sepulchre in Jerusalem, (as were the monks in the monastic complex of Santo Stefano in Bologna with their own copy of the holy sepulchre). Diotisalvi is commenorated with a Latin inscription on one of the interior columns of the baptistery: MCLIII, MENSE AUGUSTI FUNDATA FUIT HAEC ECCLESIA DEUSTESALVET MAGISTER HUIUS . 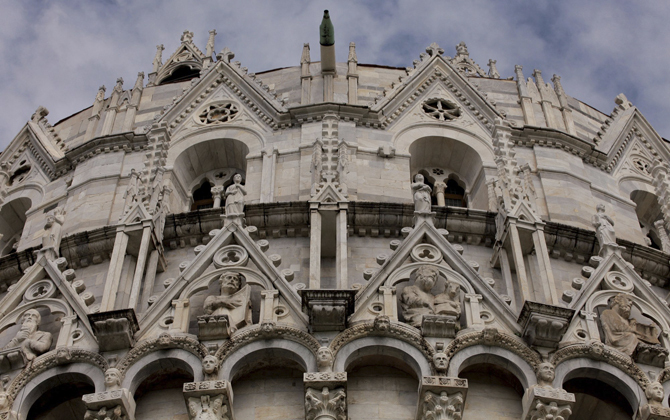 However the higher levels were built later, around 1363, by the architects Nicola e Giovanni Pisano who modified the original plan adopting a Gothic style with pointed arches. The highest part of the Dome is a cone shaped with a statue of St John the Baptist at its peak, however this was a later addition. Initially the top of the dome was left open in order to allow sun’s rays to enter and light up the font and thereby illuminate and bless the head of the person being baptised as with the baptism of Christ. 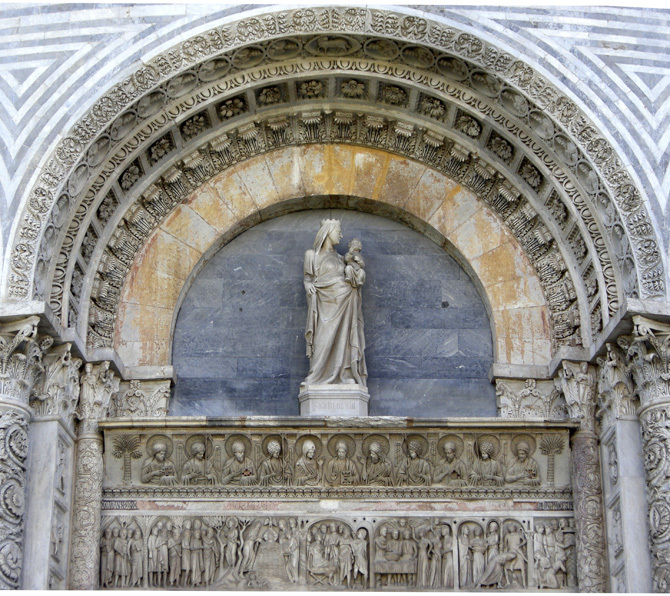 In the 19th century the architect Alessandro Gherardesca restored the baptistery removing some statues from the exterior in order to return to the original design. However many of the original decorations have remained completely unaltered. The Romanesque entrance has two sculptured columns with a decorated architrave above. It is divided into two sections of relief sculptures with a classical depiction of the upper part of Christ’s body (Deisis) while around him in prayer you can see the Virgin Mary, St John the Baptist, some angels and the four evangelists. In the lower section you will see scenes from the life of St John. Above this the semicircle below the archway which is decorated with sculptures and including the statue of the Madonna and Child. The interior of the baptistery is splendid but far simpler than the exterior. 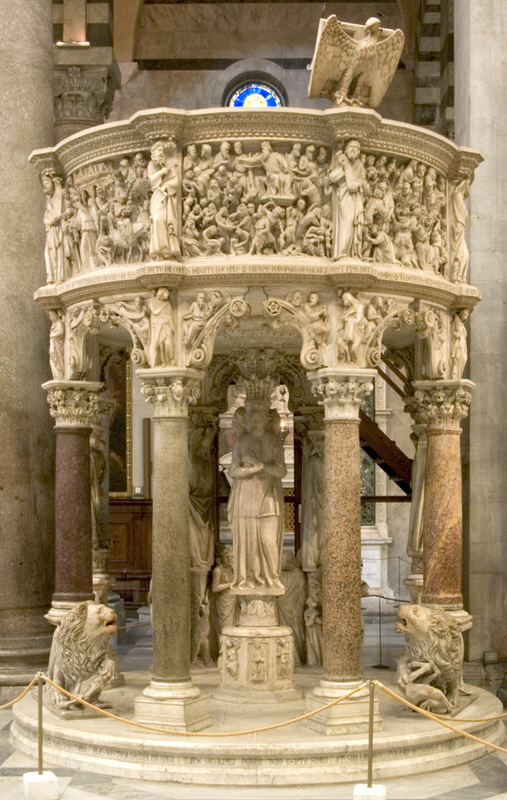 In its centre there is the baptismal font, an octagonal basin of decorated marble which was created in 1246 by the sculptor Guido Bigarelli da Como. It has a mosaic floor and a bronze statue of St John in the centre of the basin, which is the work of the sculptor Italo Griselli (1880-1958). 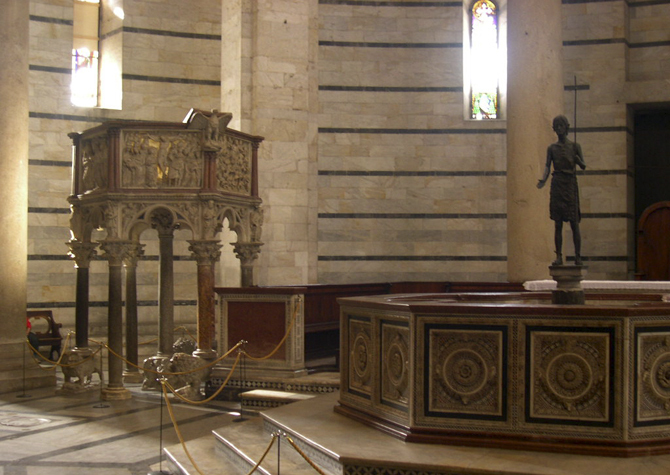 It is possible to see some of the original mosaic flooring as well as the wonderful marble pulpit which is the work of Nicola Pisano, father of Giovanni Pisano who also worked in the cathedral between 1302 and 1310. 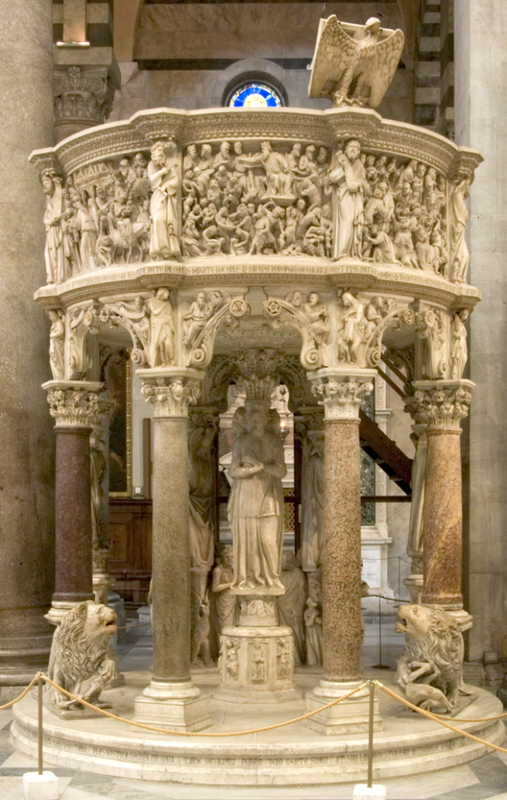 This pulpit, which dates 1255-1260, is considered to be one of the first works of art that heralds the beginning of the Renaissance period. 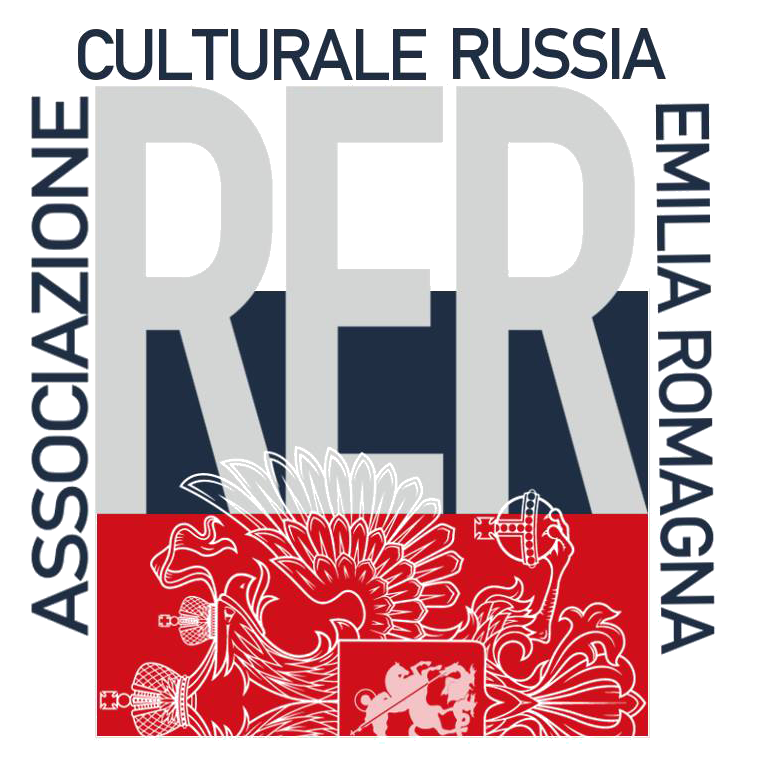 The style of work in general, with the naked form of Hercules and the many references to classical art, was totally new and as a consequence surveys of the Renaissance usually begin in the year 1260 the year in which Pisano dated the work. 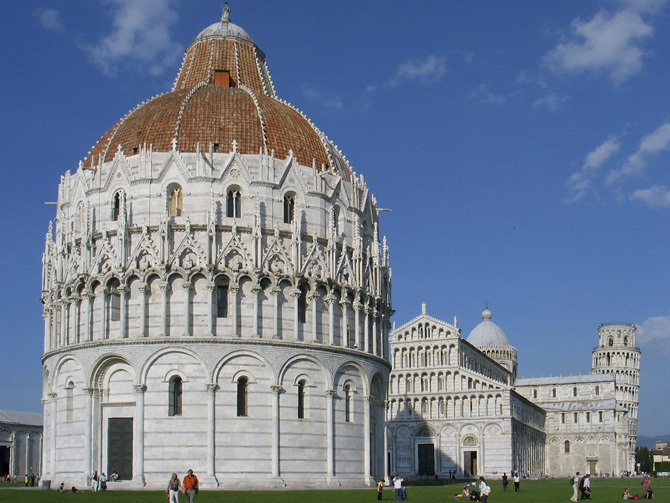 Share the post "The Baptistery of St. John"